Adam is an MCIPD accredited business transformation lead and programme management professional specialising in HR and Resourcing change. He has gained this experience across a variety of business sectors and geographies and within globally recognised organisations. He has lead global HR and resourcing transformation programmes and managed global teams across diverse sectors and industries. This experience is supported with a deep understanding of the theory and practice for managing change and the cross functional impacts projects and services of this type have on down and up-stream HR and finance activity and processes. He lives in Kent with his wife and 2 young sons and is an occasional golfer and cook. 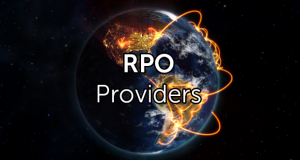 Are there any truly “global” RPO providers? Global resourcing arrangements, outsourced or otherwise, are never going to be perfect.